Our Service. Your Questions. We're Here to Help. 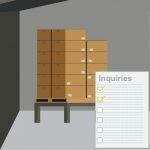 DO I NEED TO KEEP THE INVOICE OF THE ITEMS PURCHASED AND TRANSPORTED ACROSS THE BORDER? Customers are advised to keep an accurate invoice of any items purchased and transported across the border through CBP. Upon request, an invoice must be supplied to CrossBorder Pickups to document details of an item being transported across the border. These details may include vendor’s information, a description of the item, a value of the item, date of the transaction, and purchaser’s information. This applies to any items for which we are providing shipping and receiving services including items obtained in giveaways or contests where, although there is no cost to the consumer, the item(s) must still be declared. In the event an invoice cannot be provided, fair market value will be used to determine the item’s value. Fair market value is determined by finding the average price for the item through similar vendors online. WHY DO I NEED TO FILL OUT ANOTHER FORM FOR USPS MAIL? United States Postal Service requires that any agent that receives mail on behalf of a recipient must have written consent of that recipient. Since we are the agent receiving mail on your behalf, we are required to comply with this request and have you, the customer, complete form 1583. Our mission is to make this process fast and easy for you. We provide our customers with pre-populated forms to complete at our service locations. Unfortunately, USPS will not allow any agent to receive your mail without this requirement being met. Our Customer Service Team are there to assist you if you have any trouble completing the form. For more detailed information on this process, please see our blog post here. I’VE INPUT THE WRONG DECLARED VALUE, CAN I HAVE THIS CHANGED? You should contact customer service to assist immediately. However, keep in mind that if the shipping order has been approved and is already in transit, changes cannot be made. We may also request an invoice/receipt to verify the changes you are requesting. I WOULD LIKE A CBSA FORM BUT I HAVE ALREADY PAID FOR AND PICKED UP MY PACKAGES. HOW CAN I GET ONE? Please email customer service and specifying which package you would like the form for by providing either the package ID, or tracking number. If we are able to get the form, we accept payment over the phone and will e-mail the form to you when it’s ready. 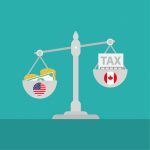 IS THE CBSA FORM $10 IN CAD OR USD? We charge for the form in Canadian dollars. Please note applicable taxes will be applied. DO WE NEGOTIATE WITH CUSTOMS? We are partnered with a Customs Brokerage that vets all our shipments with Canadian Customs. The process does not involve negotiation. I AM SHIPPING A REPLACEMENT ITEM – IT IS COVERED BY WARRANTY – WHAT DO I DECLARE ON CUSTOMS? Actual item value must always be reported, but with an appropriate repair/warranty invoice, the item may be eligible for reductions in import fees. THE CUSTOMS DECLARATION LINK PROVIDED IN THE APPROVAL E-MAIL DOESN’T WORK – “Invalid Parameters, Please Request A New Link.” – What Do I Do? In cases where the email link provided does not work, access your account on crossborderpickups.ca and create an order manually. The link can be found under CBP tab in the menu bar, Pending Packages submenu. In the Contents Approved column, all packages that require approval will provide the link to do so. DOES CROSS BORDER PICKUPS REALLY PAY MY CUSTOMS FEES? 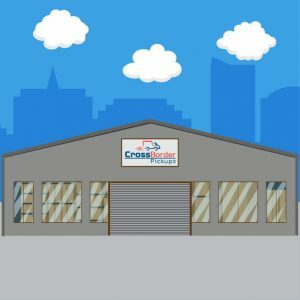 CROSS BORDER PICKUPS pays for all duties and taxes on your behalf as your package(s) passes through Customs. When you pick up or have your package(s) mailed to you, the paid duties and taxes will be included on your bill. Brokerage fees are included in our services – there are no additional charges, painful paperwork, and long drives and hours of waiting. If you are an ecommerce online business, a e-retailer, an individual shopper, a small business – then, we empower you with everything you need to succeed with shipping your products in and out of US and Canada fast and cost effectively. © 2019 Copyright © CrossBorderPickups.